Coldplay are being sued by an unknown songwriter named Sammie Lee Smith, who says that the band ripped off three of the nearly 4,000 songs he claims to have written. 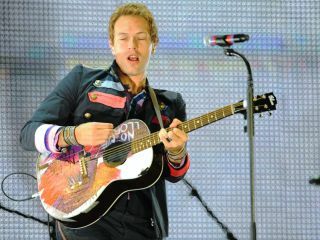 In a lawsuit filed in Los Angeles County Superior Court, Smith alleges that he is responsible for composing the Coldplay tracks Yellow, Clocks and Trouble. In December of 2008, guitarist Joe Satriani sued Coldplay, claiming that the band copied "substantial original portions" of his composition if I Could Fly for their Grammy-winning song Viva La Vida, and sought a jury trial to award him monetary compensation. In September of last year, that case was dismissed "upon stipulation," suggesting that an out-of-court settlement may have been reached. In his lawsuit, Smith states that since 1976, he's recorded roughly 4,000 songs on 100 cassette tapes, and three of those cuts wound as Coldplay's Yellow, Clocks and Trouble. Smith is asking the group to stop performing those songs. Oh, yes, he's also seeking monetary compensation. MusicRadar will let you know how this one shakes out.